The holidays are here! Santa is coming! And Christmas trees are arriving to the islands by the boatload. It is estimated that around 200,000 Noble Fir and Douglas Fir trees are shipped to Hawaii each year, with the majority of them grown in the Pacific Northwest. 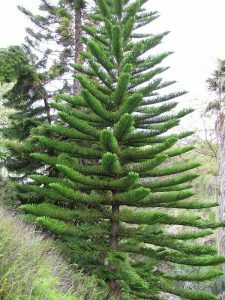 These lovely trees, members of the Pinaceae family, attract Hawaii residents with their pleasant pine fragrance and lush green foliage. Most everyone wants a piece of the Christmas tree tradition, right?! But do you know what else these trees attract? Invasive species! Well actually, while the trees are growing in their native habitats, they are not attracting invasive species, but are home to hundreds of vertebrate and invertebrate species. These fir trees provide a great habitat for their regional native species. But once these trees are cut down and shipped all over the world to be used as Christmas trees, they have in the past and continue to harbor insects, animals, and pathogens that are considered invasive in Hawaii. While the tree farmers, mainland export inspectors, and Hawaii Department of Agriculture (HDOA) import inspectors, all do their part in treating the trees to prevent any hitchhikers, there are some that still make it through. 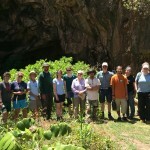 The reality is that we have a limited HDOA Plant Quarantine inspection staff on Kauai. With the immense amounts of fir trees that are brought in, not every tree can be 100% thoroughly inspected. Before departure from the mainland, they are often treated with a hot water bath, and in some cases treated again once they arrive in Hawaii. Another common practice is to perform the “shake test”, whereby every few trees that are unloaded, get a hard pound on the ground and a comprehensive shake down. If any trees are found to have insects not already established in Hawaii, they are either held for additional treatment or placed right back on the shipping container and shipped back to the mainland – talk about a large carbon footprint! Breadfruit & Citrus – buy them now in a 4-gallon pot, and plant in your garden later! 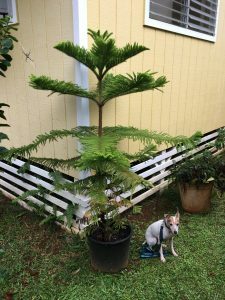 My Norfolk Pine today! Over 5′ tall. 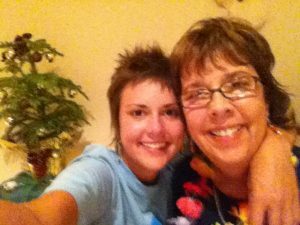 Still using the same tree, and got a couple more years to go! These are just some options, but be creative! Stop by a Pono Endorsed Nursery and ask a staff member what they suggest. The great thing about all the above listed plants is that you can re-use them – keep them in a pot for a few years, and when they are big enough, you can plant them in your yard. 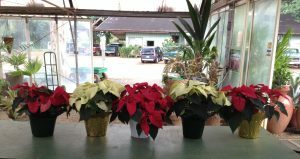 Kauai Nursery & Landscaping and Seascapes Nursery both have a large stock of Christmas tree alternatives, as well as Kauai grown poinsettias and other common holiday foliage plants. Do your part as a Guardian of the Garden Isle, and help protect Kauai from invasive species by supporting local growers! 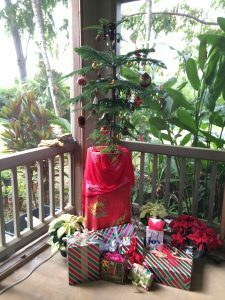 To watch a short video about using locally grown tropical plants as alternatives for imported Christmas trees click here. Happy Holidays from the whole KISC ohana!